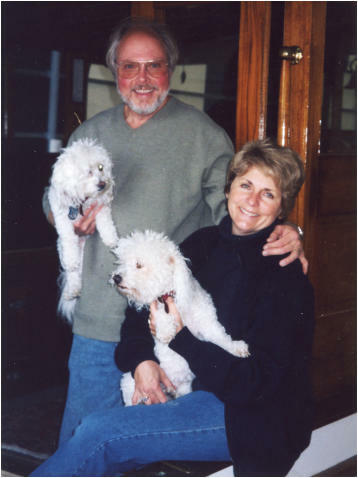 Denny Newell (pictured with his wife, Mary) is the owner of Total Track GPS, Inc. Denny has been an Independent Rep selling high-technology products since the late 1970s. Prior to starting Total Track, Denny sold medical devices (heart pacemakers, implantable cardiac defibrillators, mechanical and tissue heart valves, intra-aortic balloon pumps, etc.) for companies Johnson & Johnson, St. Jude Medical, Cardiac Pacemakers, Inc., Denny holds a BA in Business and 2 mini MBAs in Marketing and Market Management from the University of St. Thomas, St. Paul, MN Denny has a 45+ year involvement with the Developmentally Disabled community and is on the Financial Committee and Board of Hammer Residences, Wayzata, MN www.hammer.org Denny is on the Advisory Board for the Selim Center for Adult Education at the University of St. Thomas. www.stthomas.edu/selimcenter Denny is an adult volunteer / youth mentor at Urban Boatbuilders, St. Paul, MN www.urbanboatbuilders.org Denny has been recognized by the President's Council on Service and Civic Participation, co-chaired by Robert Dole and John Glen Denny was awarded “The President’s 2005 Volunteer Service Award” from the President of the United States, George W. Bush. Denny has had the same cell phone number for over 30 years. Feel free to call him at 612-396-5116 to discuss your business needs.